Comments: On 06 June 1967, the Senior Class of Scottsville High School celebrated their graduation from high school at their Commencement. The next day, Scottsville High School (SHS) was closed, and its remaining students were transferred to Albemarle High School in Charlottesville. Printed below is the text of an address delivered by the Honorable A. Raymon Thacker, Mayor of Scottsville, at a dinner meeting held at the closing of SHS on 07 June 1967, to pay honors to the teachers of the school, both past and present. His talk was so well received by those in attendance and so many nice comments about it reached The Scottsville Sun and The Piedmont Press that they decided to make it available to all of their readers. The arranging committee for this evening's meeting requested that I delve a little into the history of Scottsville and the history of the Scottsville High School. To delve into such subject matter is to open pandora's box. From the days when the Powhatan Indians roamed this beautiful countryside, this section of earth where Heaven and Earth both seem to meet down in old Virginia and close to where the James goes rolling by, to the present twentieth century, Scottsville has carved out a special place in the hearts and minds and thousands of people and has played an important part in the history of our country. I am one of these people who thinks and believes that Scottsville is a community. Even though our Town is incorporated as a separat political subdivision, I still feel that when we enter into projects or programs, we do so as a community for whatever we do here we do it for the community we serve. This means souside Albemarle, northwest Fluvanna, and north Buckingham Counties. This was true from the days of the Indians to the present. The fresh water springs, the good fishing in Totier Creek, the abundance of flint rock suitable for arrow heads, the abundance of game, deer, buffalo, and bear, the rich lush lowgrounds, and the mighty James for transportation made our section a perfect location for headquarters for the Indian tribes. Then came the white man and please where could he have found a better spot to locate. And so these first white settlers had a vision that our location here was an ideal place to contribute their part toward the building of an empire. You know it makes me nervous to wonder what would have happened to history if Lafayette had not arrived in time to protect the continental supplies of Scottsville when Tarleton's troops arrived and were turned back, or what could have happened if someone had told Tarleton's troops that Thomas Jefferson was hidden in a cave just below town, if Joshua Fry had not had George Washington to help him survey and plat Albemarle and counties west, or if Thomas Staples Martin had failed to support Woodrow Wilson, or if Dr. Cary Nelson Moon had failed his subjects at Scottsville School and had become discouraged, of if Dr. Charles Hamner, or M. Irving Dunn or Dr. Emory Hill had not received the excellent traing they received at Scottsville High School to prepare them for their important contributions to the lives of thousands. Remember I am thinking of only a few instances in the life of Scottsville. Hours on end I could cite to you important contributions to the welfare of this County, this State, and this Nation by this seemingly small community. In 1732, Edward Scott receive a land patent from George III, King of England for the area along the James River at the point where Scottsville now stands and soon thereafter established a ferry across the James River. Quickly the little village grew and became known as Scott's Ferry. In 1744, Albemarle County was carved from the County of Goochland, and the formal organization of Albemarle took place at the plantation of Mrs. Scott, the widow of Edward Scott. The records show that Samuel Scott, the son of Edward Scott, assumed the responsibility to erect at his own cost a courthouse, prison, stocks, and a pillory as good as those at Goochland. These buildings, were, however, finally erected on the land of Daniel Scott, another son of Edward, about one mile west of the ferry on the farm now known as Valmont. John Scott seems to have been another son of Edward, and it was his grandson, a second John Scott, who founded the Town of Scottsville in 1818. In 1968, Scottsville will celebrate 150 years of life and useful contribution to the life and welfare of the Scottsville community as well as to Virginia and our nation. May I briefly list a few important events that makes Scottsville stand out in its contribution to the welfare and progress of our State and Nation. This community served as a trading community for the very early settlers, and records show that the River was used as a means of transportation as well as stage lines that came into Scottsville. During those days, Scottsville was the main trading center between Richmond and Lynchburg and was larger and more important than Charlottesville. Then in 1855, the James River and Kanawha Canal was completed to Scottsville and five years later completed on to Lynchburg. History tells us that this was a bustling and thriving community during those days. As we move along, one lone warehouse stands today in Scottsville as a reminder of the years when it was the main shipping point for miles and miles to the north and northwest. When materials destined for the completion of the University Virginia were shipped here and lines of teams drew them along the road of the Presidents. Much interest must have been manifested when the marble columns from Italy arrived to be used for beautifying the University, possibly Jefferson who ordered them from Carara, made a journey to Scottsville to seem them carefully transferred from bateaux to wagons. One wonders how many Scottsville citizens saw McCormick and his machine as they moved down the blue ridge turnpike on that momentous journey when McCormick set his first harvester afloat on the canal waters, a gift to the grain raisers of the world. How curiously the grain raisers must have gazed at its construction, little dreaming that in after days their descendants would proudly claim Scottsville as the launching place of this benefactor of the human race. Scottsville seems to have been the point of embarkation for many of the boys in gray in 1861 when they marched from the adjacent counties to join the "Rebel Army." Many a last good-by was spoken here, and eyes dim with tears caught their last glimpse of beloved ones, "Till the day break, and shadows flee away." Near the end of this war, Sheridan came in from the Valley and with his Union forces virtually destroyed the Scottsville community. Mills, factories, warehouses, and this all important canal were destroyed. The life and welfare of Scottsville suffered greatly during those trying times of reconstruction. And then came the railroad which brought a new life and vigor to Scottsville. Now briefly the early nineteen hundreds when prominent citizens of Scottsville played an important role in the Federal Government. Most prominent among those was Thomas Staples Martin, Senate Majority Leader for many years and a confidant of one of Virginia's Presidents, Woodrow Wilson. World War I and Scottsville's contribution to this great conflict would take hours to relate. World War II and Scottsville's contribution to this great conflict would take hours to relate. And then on to today nearing the twentieth century, Scottsville is moving forward, working, struggling to improve and benefit the lives of its people and community---ever aware of its great heritage but never content to rest on the laurels of other or to detract from their honor. I feel that our future cannot be based on the past but the complete cooperation and support of the past but must of necessity be the fruits of our very own toil and labor. As I look toward the future of Scottsville, I feel and believe that we are headed toward great improvements. Many projects are now in progress which should advance the community toward a greater expansion and bring social and economic prosperity. Our one great need is the complete cooperation and support of the people of this community and a unity of purpose. As I have brought to you some history of Scottsville, now may I give you a brief glimpse into the history of one of the oldest and most distinguished High Schools in the State of Virginia. In the early days of Scottsville as was the custom elsewhere in Virginia, the first teachers in the Town on the "Horseshoe Bend" were those who taught in private homes. Often neighbors would unite in support of a teacher, and the school would be held in a room of the house or in a separate building in the yard of the house where the teacher lived. Some of those prominent in the life of Scottsville were Mr. Peter White, Mr. Steffy, and Mr. Renolds. There were two private schools at Scottsville around the Civil War period. The Pine Grove Academy which was located where Mr. Walker Johnson now lives and the Stony Point School which was located where Mr. Jack Duncan now lives. Mr. David Powers, later the County Superintendent of Schools, taught the Pine Grove Academy, and Mr. Adam Bledsoe and Mr. John Anderson taught the Stony Point School. These two schools were attended chiefly by older boys. A similar school for girls was located where Mr. Joe Leap now lives and was taught by Rev. Fitzgerald, Miss Annie Wilson (sister of President Wilson), Miss Virginia Briggs, and Miss Annie French. Public schools were established in Virginia around 1870, and Scottsville soon had its public school presided over by Miss Willie Hickok. Miss Willie had previously taught a private school in her own home. The public school idea speedily took root, in the old factory building, later the site of Miss Hannah Moore's Hall, Major Smith, and three lady assistants opened the first graded school. Soon the school was moved into a brick building that then stood on the corner of Main and Valley Streets. For more than thirty years the school remained in this building. In the year of 1906, the temple of knowledge after a long and bitter contest was built on "School House Hill", where now the home of Haden Anderson is located. The Scottsville School kept well abreast of the times and the faculty and the enrollment of pupil gradually increased. 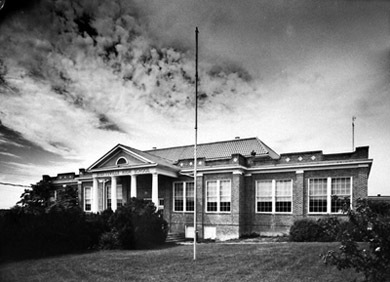 Scottsville was the first High School to be placed on the accredited list in 1913 by the University of Virginia and the State Department of Education. The Scottsville School was so well known and admired that pupils came here from Nelson, Buckingham, Fluvanna, and other counties to receive what they claimed to be superior education. The graduates of this school have brought credit to the school in higher institutions of learning, as teachers, as professional people in the world of high finance and business. In 1925, the present high school was built and subsequently additions made. For nearly a century, the Scottsville High School has served the educational needs of this community. It is an institution that holds an envious record in the educational system of Virginia and the south. A list of the Principals are imposing: Major Smith, Ben Wade, Albert W. Hill, J.N. 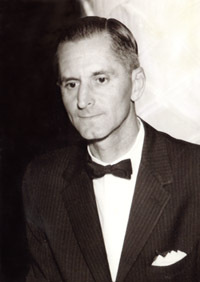 Barney, Frank Crawford, W.P. Ellis, W. A. Shepherd, Robert Charles, H.N. Roberts, John Eastman, Walter S. Dabney, Clarence Campbell, William Day Smith, Leslie Walton, Thomas Gillis, John W. Boggs, and our present Principal Thomas A. Allison. And to list the Teachers would indeed be a monumental job, but tonight I pay honor and tribute to all those sainted and gifted men and women who have labored long and hard, both past and present to bring to the youth of the Scottsville community an educational system that has been outstanding---WELL DONE---Your service has been above and beyond the call of duty and may God reward you for your dedication and service to mankind. For the past twenty years or more our school has been caught up into the age of selfish politics and all powerful centralization of power. Gradually the controls have slipped from the people into the hands of a few people of theory but without vision or practical application. We are now told that mass production is the way of life and that our children no longer need kind and understanding attention. Somehow it seems to me that we are fast losing our personal values. Honesty, integrity, and respect for our fellowman, devotion to the ideals upon which our beloved country was founded are fast being replaced by selfishness and greed. The centralization of Government in all branches is forcing upon us a concept of government that would cause George Washington, if he were here today, to hastily give another farewell address. Tax and spend - tax and spend, seems to be the go-go word of today. They seem to say forget values, forget common sense, forget the future, let's just live for today. And so dear old Scottsville High School has finally been caught up into that whirlpool of modern centralization, and we now enter into a new era of education in Scottsville. What the future holds for us, I would not dare predict. To those who would demand the character and intelligence of a community that has so richly contributed to the welfare of its citizens and to the welfare of Albemarle County, to the one who has the audacity to state in public that his greatest mistake in life was to vote for the continuance of Scottsville High School and that he would never vote again to pour anymore money down that rat hole, I can only reply as the Master did: "Forgive them, Father, for they know not what they do." Learn to labor and to unite." And may God's tender mercy and blessing be with all who have had any part in the life and history of this magnificent institution of learning.